I don’t know about where you live, but here in Northern California the warm weather is officially starting! It is HOT HOT HOT. I posted this on Instagram last week. This was the car, sitting in the garage, IN THE SHADE. Needless to say, we have been spending plenty of time at the pool. Typically when a group of us get together we like to unwind with frozen cocktails, like margaritas, but since we are so close to the Napa Valley, wine cocktails and mixers (like Sangria) are becoming more and more popular. 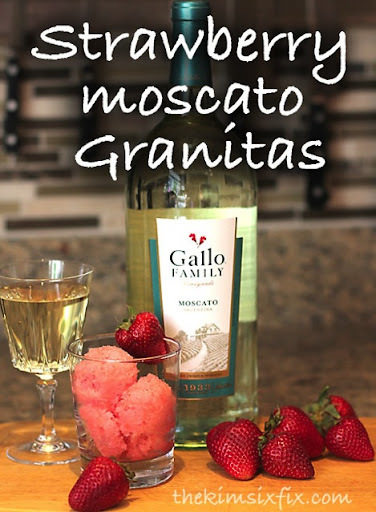 To mix it up a little, I thought I would try a recipe that would integrate the sweet fruity flavor of Moscato into a frozen treat. I love the idea of a granita because it is a hybrid of “cocktail” and “dessert” since you don’t really drink it, but rather eat it with a spoon. Plus it only uses THREE INGREDIENTS and doesn’t require anything special in terms of equipment. 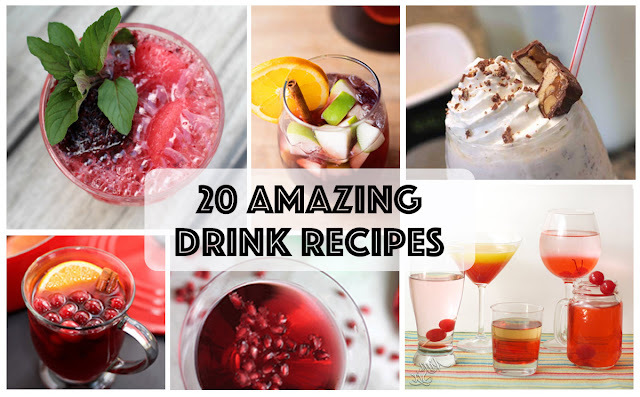 You can make Granitas with pretty much any fruit, a little sugar, some Moscato and water. In this case I went with strawberries because they were on sale. Please keep in mind that you must be 21 years or older to enjoy this frozen treat. Like anything containing alcohol, please consume it in moderation and NEVER drink and drive. Clean and slice up your berries. Remember if you are blending hot liquid to always hold the lid down with a dishtowel over your hand. The blended mix may get a little foamy and that is okay. If you are worried about the smoothness of your blended strawberry mixture you can strain it though a sieve. I didn’t but I don’t mind the seeds or little chunks. For a smoother granita you should strain it. If you wanted to mix it up a little, you could also try some of the new varietals, like the peachy flavor of the Pink Moscato paired with peaches or orange juice, or the berry flavors of the red moscato with raspberries or even pomegranates. After scraping the frozen granita mix with a fork, the shavings can be stored in the freezer for up to 24 hours. A perfect way to prep a dessert in advance for a party, since it only requires scooping to serve.